I found these cute, little baby squash at Costco and I couldn’t resist buying them. Because of our move, we didn’t get our garden in this year so we haven’t been feeling that overdose of zucchini yet. Thus, I plunged and made the purchase knowing we would love eating these cute squashes for dinner. 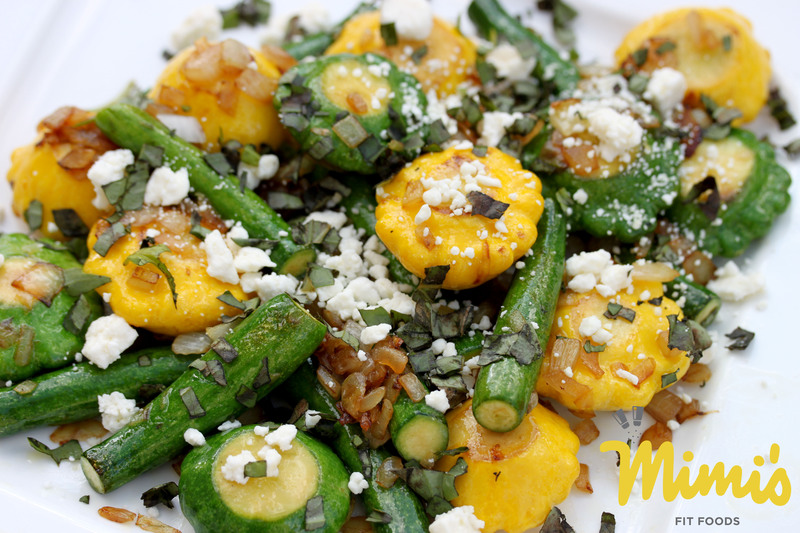 That being said, you can make this dish with your home-grown summer squash just as easily. I thought this was a nice way to change up the flavors with the squash. It comes together super fast (like under 10 minutes) and tastes great. I think next time I’ll even add a drizzle of balsamic vinegar. Yum! This recipe offers another variation of how to use up that summer squash that seems to reproduce like crazy! Heat a large nonstick skillet over medium heat. Add oil to the pan and heat for about 20 seconds. Add squash and onions to pan; saute 5-8 minutes or until tender, stirring frequently. Stir in salt and pepper. Transfer squash mixture to a serving platter. Sprinkle with cheese and basil.